There are many canyons running through the Judean Desert towards the Dead Sea. Only three of them have running water all year round. 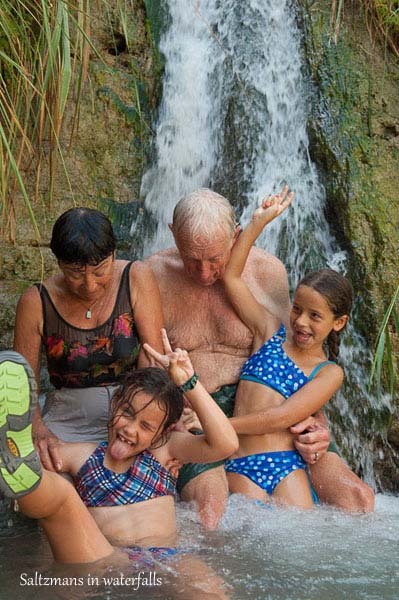 One of these three is Nahal David (David’s Brook) in the area of Ein Gedi. 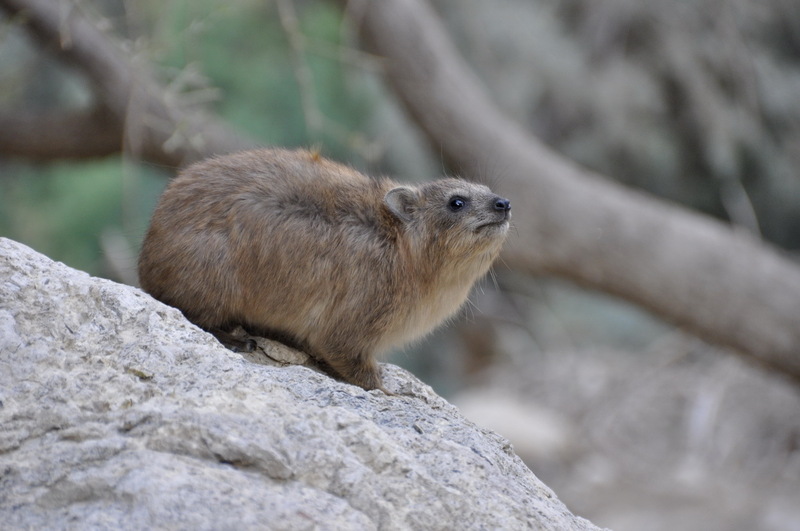 This place is a wonderful combination of the hot desert, green vegetation in a canyon with running water and unique flora and fauna. Add to it a biblical story, and the ruins of an ancient Jewish village and you have a great attraction and an invigorating experience! 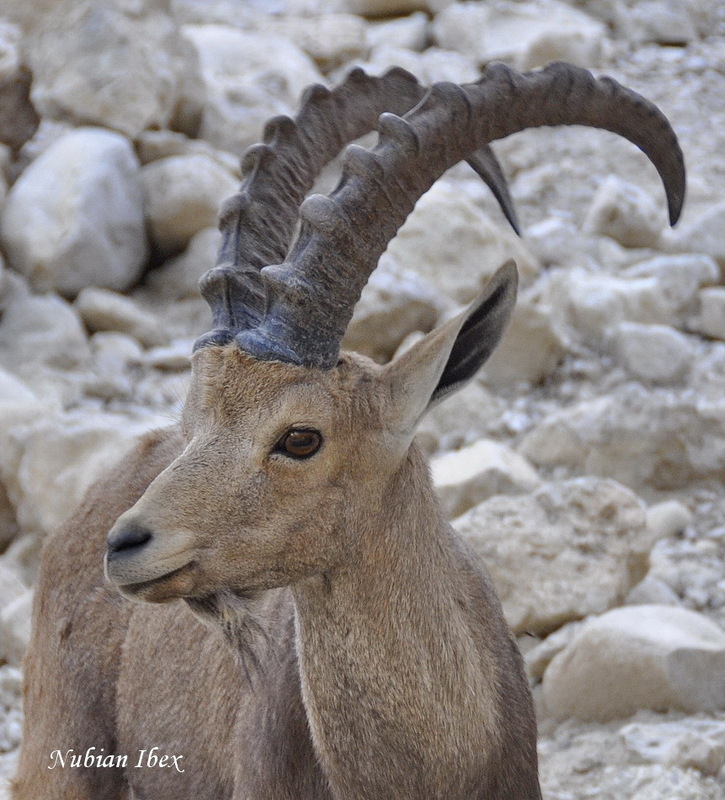 All of the canyons were created during the Ice Age by the force of running water from the tall Judean Mountains to the very low Dead Sea. Even today, with the climate being much warmer, there are flash floods a few times every winter. 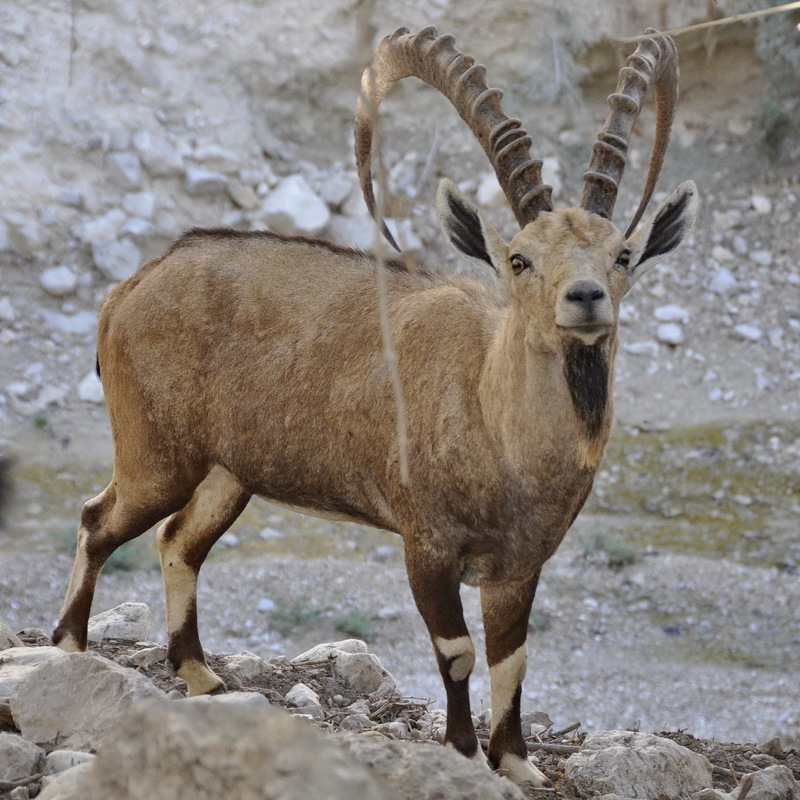 We know Ein Gedi from the Bible’s story about David running away from his father-in-law, King Saul, and hiding in the caves in Ein Gedi. Indeed, there are many caves seen here; you only need to pick one to go with the story. In the time of the Second Temple, there was again a Jewish village here. 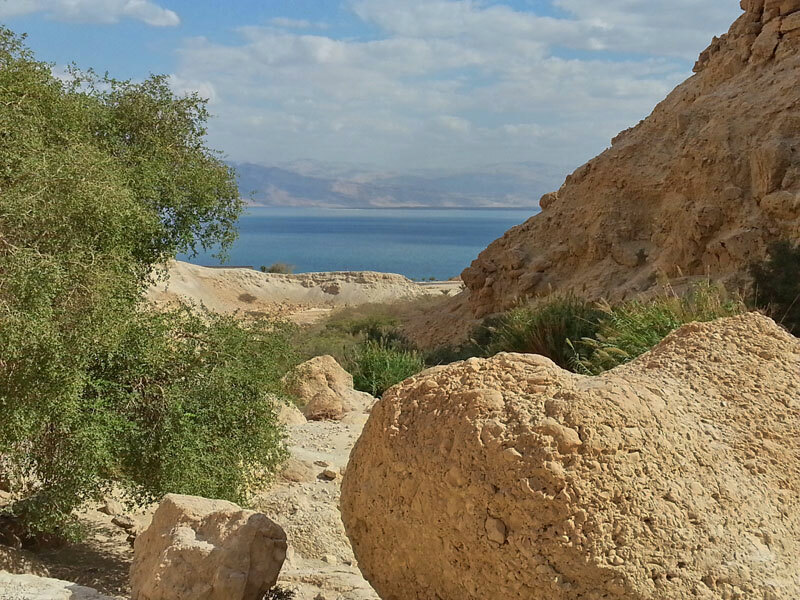 It suffered a lot from the zealots of Masada and was destroyed at the Bar Kochba revolt at 135 CE. The village was restored and lasted until the 6th century CE. 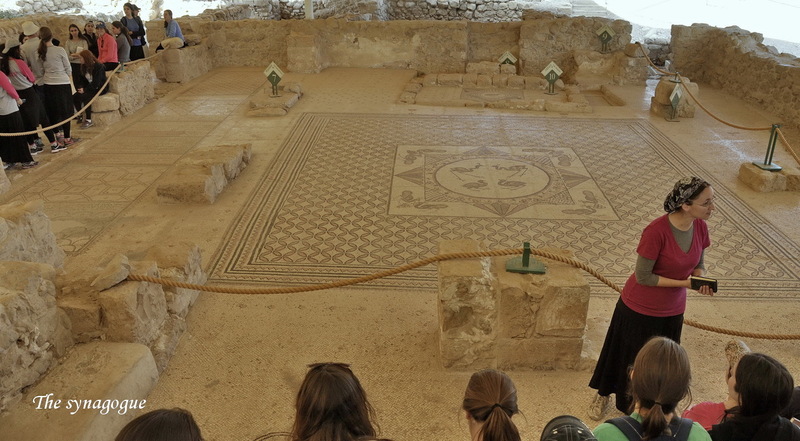 Excavations of this village show neighborhoods and the remains of a synagogue with a mosaic floor. The village used the water of a spring on the mountain to irrigate terraces, all planted with perfume bushes. As you walk in the canyon, you have the feeling of being in Africa. The acacia trees and other tropical vegetation would not be out of place there. 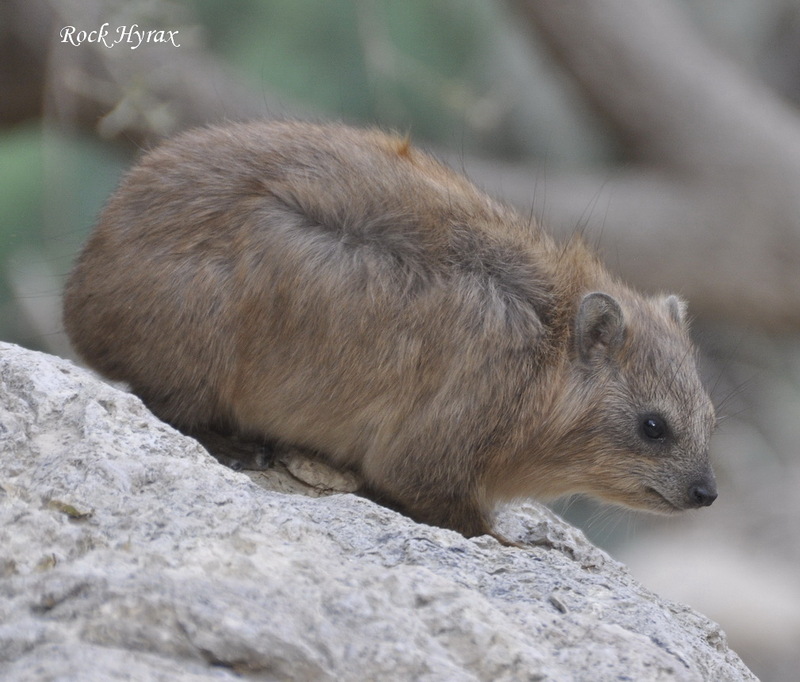 If you happen to see two common animals here – the Rock hyrax and the Nubian Ibex – you should know that they are also common in Africa. This reminds us of the fact that we are in the Syrian-African rift, through which all of this fauna and flora have spread. It is always nice to have a hike in the short canyon (700 m. 2200 ft.). You can climb up from one waterfall to the next one. In the summertime, with temperatures over 40 degrees C (104 F) the greatest fun is taking a dip in each of the waterfalls and refreshing yourself.